1. How can I renew my membership? 2. How can I check if my membership is still valid? 3. How can I update my mailing address or contact information? Please email your new contact information to ashley@blowingrockmuseum.org, and we will update our records. 4. I am interested in upgrading my membership to a higher level. How should I do this? To increase your membership support at any time, please visit the Museum or call 828.295.9099. 5. I have already renewed my membership. Why am I still receiving renewal notices in the mail? Due to processing time, your payment and renewal notice may have crossed paths in the mail. To confirm that we have received your membership payment, please email ashley@blowingrockmuseum.org. Please disregard any notices you receive after your payment has been submitted. 6. Can I purchase a membership as a gift? Membership at BRAHM makes the perfect gift for all occasions! For fastest service, purchase a gift membership online. You may also purchase a gift membership at the Museum or by calling 828.295.9099. 1. When will I receive my membership card(s)? Can I visit the Museum without my card? You will receive your membership card(s) by mail within 10 - 14 business days of purchasing your membership. If you come to the Museum without your card, please check in at the Visitor Services Desk. 2. I have lost or misplaced my membership card. How can I request a replacement? If you have lost or misplaced your membership card, you may request a duplicate card by sending your full name and address to ashley@blowingrockmuseum.org. 3. Can I designate a second membership cardholder? Members beginning at the Household ($75) level may designate a second membership cardholder at the time of purchase. To add or change the secondary cardholder name, please email ashley@blowingrockmuseum.org with your full name and address. 4. Can I give my membership card to someone else to use? Membership cards are not transferable. For information on bringing guests to the Museum, please see the Member Benefits section below. 1. Do Members get free admission? How many guests may I bring for free to the Museum? Members at all levels receive free unlimited admission to BRAHM. Please see the admissions and guest passes for each membership level below. Student ($25) Free admission for one. Household ($75) Free admission for two, plus accompanied children under 18. Friend ($150) Free admission for two, plus up to two accompanied guests. Associate ($300) Free admission for two, plus up to six accompanied guests. Contributor ($500) Free admission for two, plus up to six accompanied guests. Patron ($1,000) Free admission for two, plus up to eight accompanied guests. 2. Do I need tickets to view special exhibitions? Tickets are not required to view any of the Museum's exhibitions, so you may visit them for free as often as you like. 3. Do I receive Museum discounts with my membership? Members receive a 10% discount on workshops and classes, reduced and/or free admission to BRAHM-sponsored programs, free and/or reduced admission on select children’s programs (Family level and above), and 10% off in our gift shop. 4. What are member previews for special exhibitions and how do I attend? Member previews are exclusive opportunities to view select special exhibitions before they open to the public. Invitations to previews are mailed to members. 5. How can I sign up to receive membership emails? To receive emails from Museum, sign-up online or email your full name and preferred email address to ashley@blowingrockmuseum.org. This is the best way to stay informed and receive advance notice of exhibitions, programs, events, and special offers. 6. What is the Members' Newsletter? Do I receive it with my membership? The Members' Newsletter includes information on upcoming members-only events, exhibition openings, programs, and tours. The Newsletter is mailed automatically to members. 7. How may I register for the free curatorial lectures? Members are invited to attend curatorial lectures about the Permanent Collection and current exhibitions. Advance registration is not required. Simply present your valid membership card at the entrance to BRAHM. 8. Do I receive reciprocal membership privileges at other museums with my membership? Members beginning at the Friend ($150) level receive privileges at 750 other institutions. Present your BRAHM Membership Card with the NARM gold sticker to receive these benefits. Learn more about reciprocal membership. We would be happy to assist you. Please call the Museum 828.295.9099 or email us at ashley@blowingrockmuseum.org. 1. What are BRAHM Membership Societies, and what do membership dues support? 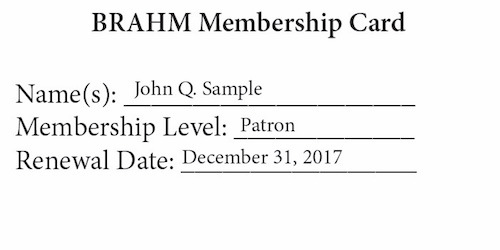 BRAHM Membership Societies are exclusive groups of Museum supporters at the Patron ($1,000) level and above. 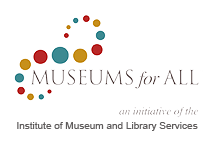 Proceeds from the Societies support the operation and sustainability of the Museum. 2. What are the BRAHM Society levels and additional benefits? Visit our Membership Societies page for more information. 3. When is a good time to join the Membership Societies? Feel free to join at any time! Your membership begins the day you sign up and is active for one year. We have events year round, so no matter when you join you will soon receive an invitation to a special event. 4. Society dues are for individuals or couples. Does this mean individual members may bring a guest to events? How does this work? People who join as a couple will receive membership cards and invitations with both names listed. If one person is unable to attend an event, the other person is welcome to bring a guest instead. People who join as individuals are welcome to bring a guest to our exclusive Society events. On very rare occasions, due to space constraints, events are limited to Society Members only.